Better than your average Dragonfish site, but could benefit from some exclusive offers and games. We rely on our relationships with partner sites to keep our service free. We are either still in discussions or have failed to reach an agreement with Bingo4Her. Bingo4Her is an online bingo site that encourages ladies to play together in a female-friendly atmosphere. It offers three bingo variants and plenty of slots, side games, and scratch cards, and runs jackpot coverall games throughout the day. As an 8Ball Games site, its promotions differ from some of the other brands that are operated by Cassava Enterprises Ltd., and include the xCite rewards scheme, prize giveaways, and free and cheap bingo offers. Continue reading to find out whether Bingo4Her is as fantastic for female bingo fans as it claims. The Bingo4Her website is predominantly pink and uses the female gender symbol as its wallpaper. Although the main menu is nicely arranged and it’s easy to see the current welcome offers, the homepage design could be improved. For instance, the section titled ‘Upcoming Bingo Games’ is supposed to feature a mini-games schedule, but it’s blank; the progressive jackpot values don’t update automatically (i.e., you have to refresh the page), and the brief intro to the brand is listed right at the very bottom. Help is available via email and telephone, and while there’s no live chat facility, there’s the next best thing which is a dedicated room where you can go and talk with a customer service representative. All of the support methods operate 24/7. As 8Ball Games (which is sometimes referred to as the xCite network) own multiple bingo sites including Satin and Takeout Bingo, there are no unique promotions and no branded artwork. However, the offers are diverse enough to please the majority of players, and include Sunday night chat parties, free bingo, refer-a-friend and loyalty rewards, and monthly specials. Newbies can enjoy a 250% welcome bonus of up to £100 when they make a first deposit of £10 or more. Sadly, the wagering requirements of 6x bingo are higher than most Cassava sites. Bingo4Her uses Dragonfish software, which is fast and reliable. The lobby is split into several sections so that you can quickly locate the 90-ball, 75-ball, and High 5 (5-line) games, as well as the jackpot games and specials. You can also see how many players are in each room, what time the next game starts, how much tickets cost, and who the chat moderator is. Once you enter a room, the panel on the left-hand side of your screen allows you to purchase tickets, and on the right-hand side, there’s the chat window and a lobby featuring a variety of side games. The website lacks a dedicated mobile page, and there’s no Bingo4Her mobile app. However, you can visit Bingo4Her’s website using your mobile web browser and access the majority of games without any issues. The Great Britain Gambling Commission licenses and regulates Bingo4Her, and the site also displays the eCOGRA logo to show that it’s a safe and fair place to play. GoDaddy SSL encryption is used to protect your data, and a secure URL is used throughout the site. It’s good to see that there’s more than just 90-ball and 75-ball games at Bingo4Her. The High 5 games and multitude of chat games are a great addition. 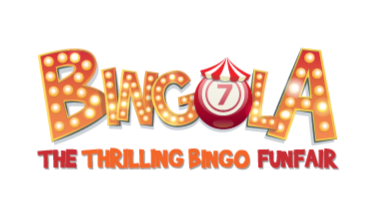 Ticket prices are varied enough to make Bingo4Her affordable for all, and there’s plenty of free bingo as well as linked jackpot games. The selection of slots, casino games, and scratch cards is also impressive, but there are no exclusive games. The pop-window for the Cashier makes it easy to withdraw and deposit funds while also playing games. Withdrawal processing times are fairly average (2 to 4 days), and there are various payment methods to choose from including Paypal, Neteller, Entropay, Paysafecard, Visa, Maestro, and MasterCard. Like its fellow 8Ball Games sites, Bingo4Her use the XCite loyalty scheme that lets you work towards four different levels each month. You can move up the levels by earning Jewels, and each time you deposit £1, you gain twelve Jewels. You don’t need any Jewels to reach the first level of Rookie, but to achieve Pro, Master, or Champ level, you’ll need to collect 1, 600, or 2,400 Jewels respectively. The higher your loyalty level, the more rewards you'll be entitled to such as cashback (up to 15%), free spins, complimentary game cards, and birthday bonuses. Plus, if you’re invited to become a VIP, you get invitations to hospitality events and seasonal gifts. Bingo4Her is a fun site that tries to cater for every type of player (except males). It’s nice to see a bingo brand that concentrates on a female-only audience, but we feel that more could be done to entice new players with exclusive offers and games that are themed around women. The games are high-quality, and the operator (Cassava Enterprises) is extremely trustworthy, so if you’re looking for a great all-rounder bingo site to join, you can’t go wrong with Bingo4Her. Have you played at Bingo4Her? Leave a review and share your experience with thousands of other players. Never miss out on the latest news and offers. Favourite Bingo4Her today!